I know it’s a little early to review a Christmas book…we haven’t even had Thanksgiving. I’m all for enjoying turkey, but in case you’re going Christmas shopping soon, you may want to add this to your list! Synopsis: (from publishers website) Ever wonder what Santa was like as a child? 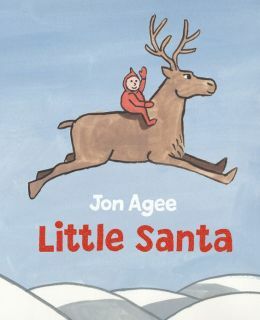 Award-winning author/illustrator Jon Agee brings us the funny, playful answer in this Christmas picture book destined to become a classic. Opening: In the North Pole, in a little cabin, lived Mr. and Mrs. Claus and their seven children, Larry, Mary, Willy, Millie, Joey, Zoe, and Santa. OK, if I haven’t yet convinced you to head to the store this very instant, I know this trailer will have you curious enough about Santa as a boy that you will definitely be buying it for the Christmas season. Here are a few activities I thought would be fun. Before reading the story, ask children what they think Santa would’ve been like as a kid. Judging from the trailer, that will be a fun discussion. More Discussion after reading the book. What do you think would’ve been on Santa‘s Christmas list when he was a kid? If you had elves living at your house, what chores would you like for them to help with. There are a slew of activities for Christmas, but I thought northpole.com was a good one for online fun. Why I Love This Book: Well, I like a Merry Christmas just as much as the next person, and great Christmas books are a big part of making it merry. I’m already merry just holding this one in my hands. It’s just as clever as can be. I couldn’t wait to turn the next page to see what would happen. And on top of that, “I believe!” Yes, I’ve always believed in Santa and now I totally believe this story of how a boy named Santa became the adult Santa of today! Way to go Jon Agee! I love the way he included details of how Santa operates…the chimney, the reindeer, the elves! It’s all woven in this charming tale and makes perfect sense. You can probably tell from the cover that the illustrations are most delightful! Prepare yourself for a major dose of jolliness as you take it in page by wonderful page! So…Ho! Ho! Ho! and Go! Go! Go! get this book! 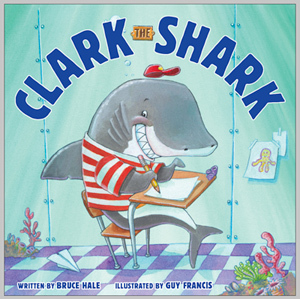 Synopsis: (from author’s website) Clark is a shark with zing, bang, and BOOM! Clark zooms into school, crashes through the classroom, and is rowdy at recess. Clark loves life—but when his enthusiasm is too much for his friends, Clark’s teacher, Mrs. Inkydink, helps him figure out a way to tone it down. Opening: In all the wide blue seas, in all the wide blue world, the top school was Theodore Roosterfish Elementary. And of all the fish at Theodore Roosterfish, the biggest and the strongest was Clark the Shark. Clark loved school, and he loved his teacher, Mrs. Inkydink. He love to play upsy-downsy and spinna-ma-jig with his friends. Clark loved his life. You’re gonna love this trailer. Resources: HERE are some activities from the author’s website to use with kiddos. HERE is an activity booklet also from the author’s site. HERE is a back to school freebie from Read With Me ABC. She describes the activity and has a link to Teachers Pay Teachers to download the packet. Why I Like This Book: I like this book because it is so authentic. There are so many kids in school that just love life. They radiate enthusiasm to the point that they drive everyone crazy. Sometimes they’re just too much. Just like Mrs. Inkydink tells Clark, they need to “Stay Cool”. Although Mrs. Inkydink tells Clark that he needs to “Stay Cool”, he has to figure out how to do it himself. He tries several times before he finds a solution. The solution involves rhyming. Anyone who reads my blog knows me well enough to know that if something in a picture book involves good rhyme then, “Hey! I’m all over it!” Clark has become my new favorite character. He has the charm and personality of Splat the Cat which I reviewed back in 2012. 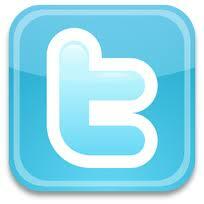 (Here’s the link.) Guy Francis‘s illustrations completely capture each personality in this delightful story.